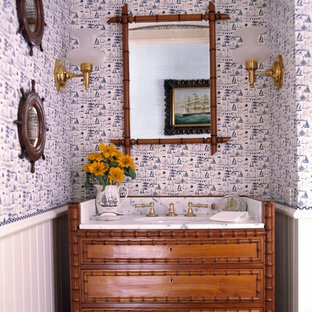 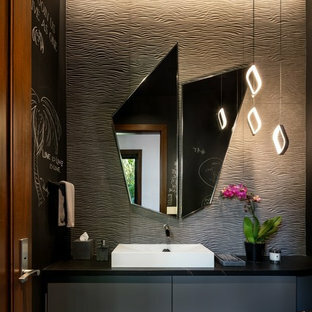 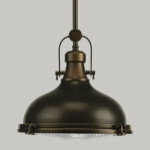 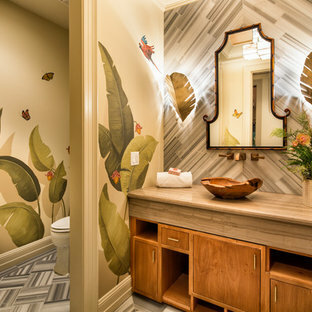 Whether you want inspiration for planning a tropical powder room remodel or are building a designer powder room from scratch, Houzz has 316 pictures from the best designers, decorators, and architects in the country, including Interstate Irrigation & Lighting and Interior Style by Marisa Moore. 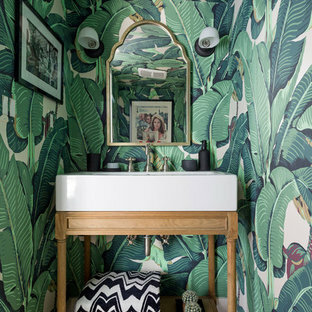 Look through tropical photos in different colors and styles and when you find a design that inspires you, save it to an Ideabook or contact the Pro who made it happen to see what kind of tropical powder room design ideas they have for your home. 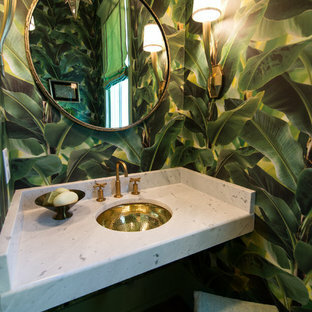 Explore the beautiful tropical powder room ideas photo gallery and find out exactly why Houzz is the best experience for home renovation and design. 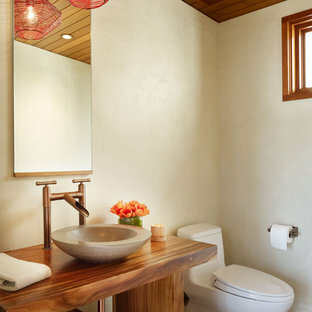 This effortlessly glamorous formal powder room is inspired by nature - the combination of the organically shaped bronze vessel sink, floating walnut slab counter top and bamboo tiles strikes a balance of traditional and modern. 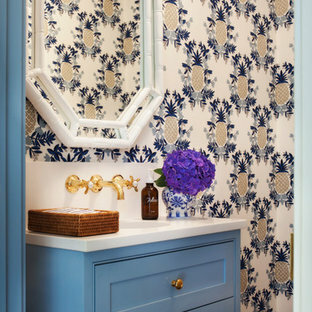 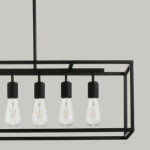 The powder bath is the perfect place to mix elegance and playful finishes. 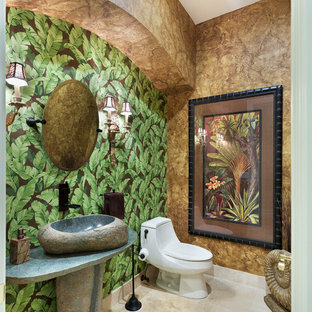 The gold grasscloth compliments the shell tile feature wall and a custom waterfall painting on glass pulls the whole design together. 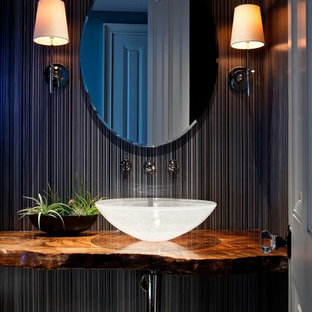 The natural stone vessel sink rests on a floating vanity made of monkey pod wood.